Essentials In Worship is the most comprehensive, accessible, and grass-roots-worship-training package you will find – anywhere. Designed by Dan Wilt, M.Min., the easy-to-read Training Manual and supporting VIDEOS have been used (and tested) successfully by thousands in churches and universities. Drawn from over 25 years of practical worship leading experience, Essentials is the perfect training solution for your team. 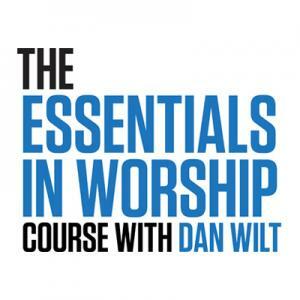 Now you can download The FULL Essentials In Worship Course.